Luke Skywalker is led into the new Star Wars franchise by Rey. Thanksgiving has come and gone, and Christmas is just on the horizon. For any film aficionado, that means one thing: Really good movies — a whole lot of 'em — are about to hit theaters. Some of the year's most acclaimed features will make their way to Spokane starting now and continuing into the new year — everything from historical biopics to show-biz comedies, swooning romances to biting satires, and the newest releases from a handful of the most beloved filmmakers working today. As thrilling as J.J. Abrams' 2015 reboot of the Star Wars universe was, the fairest criticism of The Force Awakens was that Episode VII of the epic tale was almost exactly the same as the 1977 original. The Resistance facing off against the Empire (excuse me, "The First Order") — check. A weapon needing destroying, in this case the "Starkiller Base" instead of the twice-destroyed Death Star? Yup, got that. A climactic light-saber battle between a Force-fueled protagonist (Rey in The Force Awakens, Obi-Wan Kenobi in A New Hope) and the primary bad guy (Kylo Ren subbing for Darth Vader) — yes, again. And you know what? None of that familiarity spoiled the sheer joy most Star Wars fans felt as they reconnected with the spirit — and several of the most prominent characters — from the original trilogy, which was sadly missing from the so-called Prequel Trilogy released between 1999 and 2005. Those movies have their defenders, but as an older Star Wars fan, I've seen both The Force Awakens and tangential one-off Rogue One more times than I bothered watching any of those (thankfully final) George Lucas-directed episodes. So, what to expect from Episode VIII, the middle edition of the new trilogy arriving Dec. 15 and written and directed by Rian Johnson (Looper)? If we're lucky, Star Wars: The Last Jedi will be a masterful twist on the saga in the same way The Empire Strikes Back was — without replicating the plot. If Luke Skywalker loses his hand again, I'm walking out. 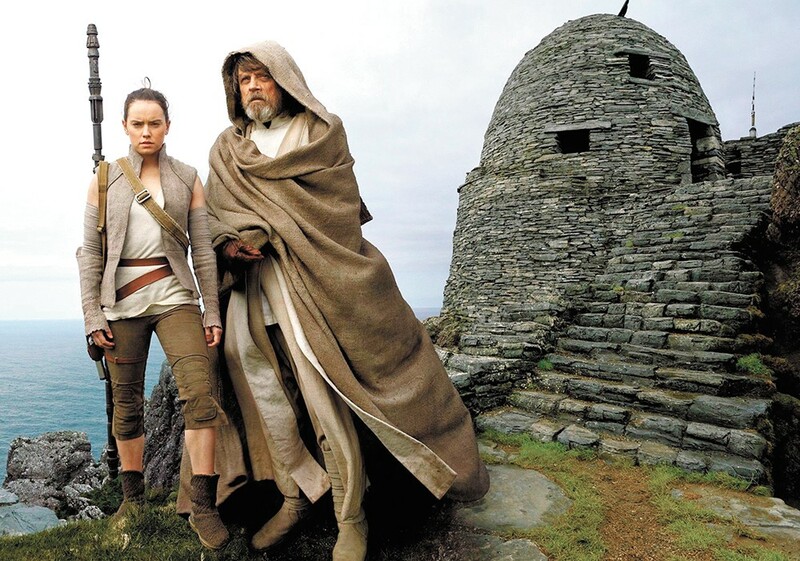 The presence of the original trilogy's hero is one of the few things we know about the new episode, as Mark Hamill's weathered and aged Luke was found on a mountaintop, living hermit-style, by The Force Awakens heroine Rey (Daisy Ridley) after she'd helped destroy the Starkiller Base. The relationship between these two is one of the more intriguing storylines waiting in the new film, and hopefully Luke's presence works as seamlessly with the new characters as Han Solo and Chewbacca did in The Force Awakens. Another mystery is how the death of Carrie Fisher plays into the plot of The Last Jedi. In The Force Awakens, her Princess Leia is now the Resistance-leading General Leia, and she suffered the death of her longtime love Han Solo at the hands of their son, Kylo Ren (Adam Driver). Will she and her brother Luke reconnect to avenge Han's death and stave off the First Order and its evil mastermind/floating Supreme Leader Snoke (Andy Serkis)? We can only hope the siblings get some final peace in their relationship. More important, though, for those of us invested in a lifetime of the Star Wars story, how will writer-director Johnson manage to infuse The Last Jedi with the drama, darkness and ultimate propulsion into the next episode that The Empire Strikes Back did so successfully, back when it was the sequel to one of the greatest movie phenomenons of all time? What it's about: You might have seen this movie in the news thanks to the last-minute decision to reshoot already-filmed scenes featuring Kevin Spacey and replace him with Christopher Plummer, all while maintaining its December release date. Director Ridley Scott must move quickly. Plummer will play oil magnate J. Paul Getty, but the story revolves around his daughter-in-law Gail Harris (Michelle Williams), whose son is kidnapped, and Getty's unwillingness to part with any of his fortune to help. 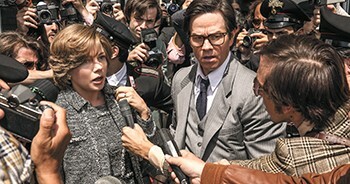 It's a race against time for Gail and Getty security man Fletcher Chase (Mark Wahlberg) as the kidnappers get increasingly brutal and Gail tries to sway her powerful father-in-law. What it's about: A sumptuous romantic drama set in the early 1980s, when a 17-year-old American kid goes to spend a summer at his family's villa in northern Italy. There he falls for his dad's 20-something research assistant (Armie Hammer), an attraction that intensifies into something more serious. Directed by Luca Guadagnino (I Am Love, A Bigger Splash), who's a master at photographing beautiful people in beautiful places, and written by the legendary James Ivory. What it's about: An unrecognizable Gary Oldman tackles a larger-than-life character once again — no problem for a guy who's disappeared into roles ranging from Dracula to Beethoven to Sid Vicious. This time, he's a portly Winston Churchill in the British prime minister's first month in office, when he's suddenly thrust into the position of deciding whether to negotiate with Hitler or urge his countrymen to fight against the Nazis. Oldman's co-stars include Ben Mendelsohn, Kristin Scott Thomas and Lily James, but this is all about Oldman. What it's about: If you've never seen Tommy Wiseau's 2003 "drama" The Room, put down this paper and go watch it right now. It's wonderfully bonkers. 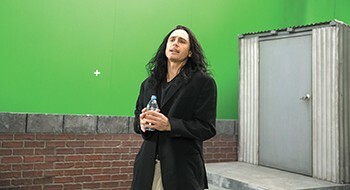 Based on a nonfiction book co-authored by The Room actor Greg Sestero, this bittersweet comedy stars director James Franco as Wiseau, an aspiring artist of mysterious origin who made what has frequently been cited as the best bad movie of all time. Think of it as an Ed Wood for the 21st century. Dave Franco, Seth Rogen, Zac Efron, Alison Brie and Sharon Stone round out the supporting cast. What it's about: Nope, not a drama about underemployed, angst-ridden coal miners in Trump's America; Downsizing is much more literal than that. Writer-director Alexander Payne delivers a consumerist satire starring Matt Damon and Kristen Wiig as a couple taking advantage of the chance to literally shrink themselves, both to help the resource-strapped planet and enjoy a nicer lifestyle in Leisureland among their fellow four-inch-tall citizens. Payne has proved adept at satire in the past (Election), and he'll need Damon, Wiig, and co-stars Christoph Waltz and Hong Chau to pull off this conceptual risk delivered as Christmas fare. What it's about: Sometimes the most gloriously absurd entertainment is that borne of true life, and so it goes with I, Tonya. It's a dark comedy based on the truly tragic and utterly bizarre story of figure skater Tonya Harding (Margot Robbie), a working-class girl whose ex-husband Jeff Gillooly (Sebastian Stan) helped orchestrate an attack on rival skater Nancy Kerrigan just before the 1994 Winter Olympics. The buzz for this movie coming out of its Toronto International Film Festival premiere was deafening. Whether audiences want to see a dramatized version of a familiar story is the question. Jessica Chastain stars in Molly's Game. What it's about: You know you have some skills when your name becomes an adjective for a writing style. Fans of The West Wing, A Few Good Men and The Social Network know writer Aaron Sorkin is a master of rapid-fire dialogue that's as fun for audiences to embrace as it seems to be for actors to tackle. Here, Sorkin jumps into the director's chair for the true story of Molly Bloom (Jessica Chastain), a former ski champion who became host to a high-stakes poker game filled by Hollywood stars, professional athletes, business tycoons and Russian mobsters. Using the game to explore power in all its forms, Sorkin relies on his writing and Chastain's undeniable talent to carry Molly's Game, and that's a smart play. What it's about: Daniel Day-Lewis and writer-director Paul Thomas Anderson reteam a decade after making their masterpiece There Will Be Blood for what looks to be an achingly beautiful meditation on romance, aging and artistic genius. The reliably brilliant Day-Lewis here plays a womanizing fashion designer in the 1950s who falls in love with a much younger woman, a relationship that makes him rethink his place in the world. Sounds miles away from Blood's sociopathic Daniel Plainview. What it's about: Before he drops the virtual reality adventure Ready Player One in March, Steven Spielberg returns to Prestige Movie territory with a Spotlight-y, fact-based drama set in the 1970s. The film concerns Washington Post publisher Kay Graham (Meryl Streep), the first woman to ever hold such a position, and editor Ben Bradlee (Tom Hanks) fighting for the paper's rights to publish the infamous Pentagon Papers, which detailed the Johnson administration's lies regarding the Vietnam War. What it's about: In films like The Devil's Backbone and Pan's Labyrinth, Mexican director Guillermo del Toro seamlessly blended historical drama with supernatural horror, and by many accounts he's done it again with the Cold War-set fable The Shape of Water. The great (and underrated) Sally Hawkins stars as a mute woman who befriends an amphibious creature that's housed at the laboratory where she works on the janitorial staff, and she becomes determined to set it free. What it's about: The most recent winner of the Palme d'Or, the highest honor at the prestigious Cannes Film Festival, this blistering bourgeoise satire follows an art curator whose latest acquisition is an experiential piece designed to remind viewers of their own inherent benevolence. Because this springs from the mind of writer-director Ruben Östlund, whose Force Majeure gleefully skewered bogus masculinity, things don't go as smoothly as anticipated. What it's about: Writer-director (and sometimes playwright) Martin McDonagh has a knack for wringing laughs from dark places, something he did plenty of in past work like In Bruges and Seven Psychopaths. Expect the same in Three Billboards. Frances McDormand plays Mildred Hayes, whose frustration with the local law enforcement's handling of her daughter's unsolved murder pushes her to confront the Ebbing police department — led by sheriff Woody Harrelson and high-strung deputy Sam Rockwell — in increasingly public showdowns.